Much of our stress and anxiety stems from uncertainty – those times in life when we don’t know what’s going to happen. Yet, times of uncertainty actually serve us in several ways. 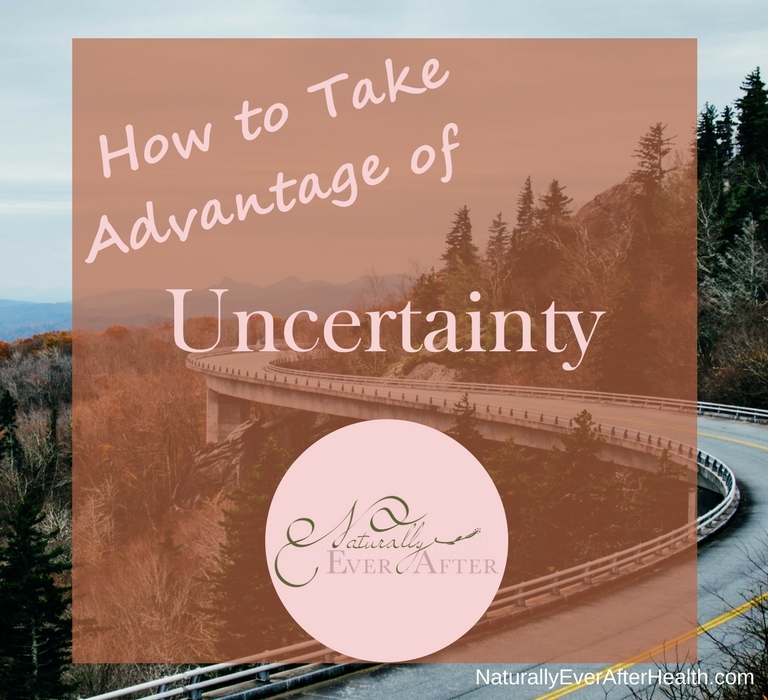 In this post, I’m sharing some things I’ve recently learned about uncertainty, and I hope to give you a change in perspective. 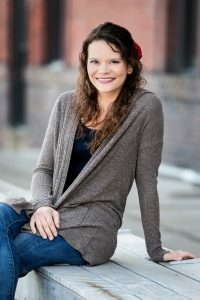 I listened to an Art of Charm podcast episode recently that helped me gain a new perspective on uncertainty. It’s funny how the right messages seem to find you when you most need them. Uncertainty is a daily thing for anyone, but every now and then we become even more abundant in the unknowns. This summer is definitely one of those times for me. I’ve got good uncertainty with moving to Arizona (in 3 days!!! ), the thrill of not knowing what lies ahead for Kyle and me. But there’s also the terrifying uncertainty around selling our house in Des Moines, (we learned the hard way that there’s no getting our hopes up until the closing date comes!). As humans, we typically try to avoid uncertainty as much as possible. We often garner anxiety in our own worries of all the things that can go wrong, all the possible unknowns that can make our situations worse. We worry that our choice will be a terrible mistake. These worries take over and make us unhappy, even physically sick. As a result, we tend to view uncertainty as a bad thing. We stay stuck in a job we’re unhappy with because the unknown of starting over is too stressful to bear. We stay in a bad relationship because while we might not be happy, we’re at least comfortable. And where does that get anybody? When Kyle and I got some bad news last week about our house, panic and worry immediately set in. We’ve been on edge and a little cranky, to say the least. Instead of happily packing things up and rowdily enjoying a few last blasts with our friends, we’ve been worrying and worrying and worrying. The reality is there is absolutely nothing more we can do to control the outcome. All of that worrying is doing us no good. At the end of the week, we’re still going to be in Arizona and the selling of our house will not be final until it is final. Good uncertainty and bad uncertainty. But the last few days in our first home and with our Des Moines friends? We will never get these moments back. 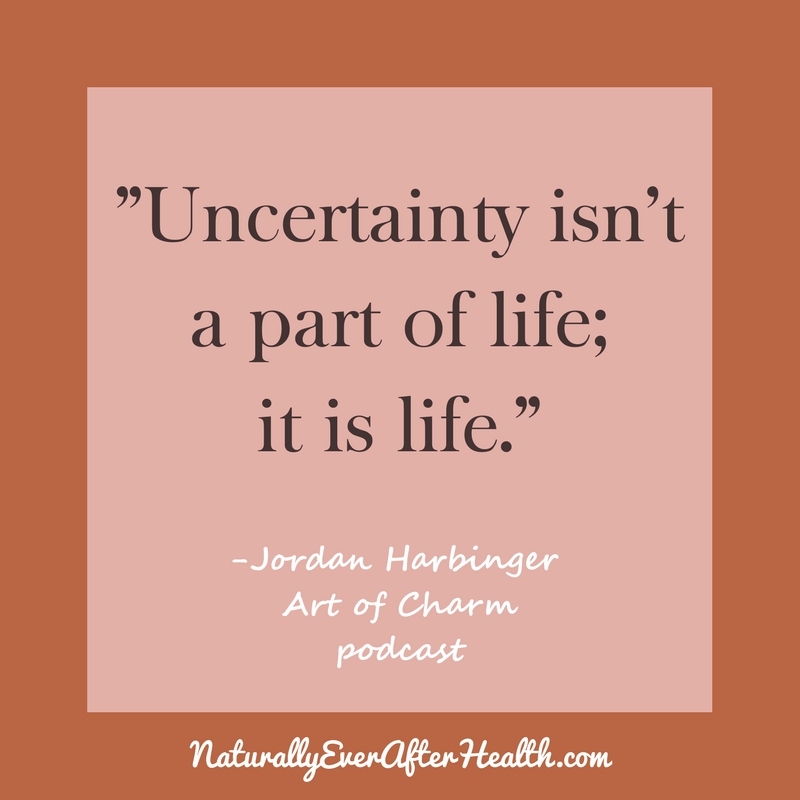 As Jordan Harbinger says in the Art of Charm podcast episode, “Becoming Friendly with Uncertainty,” uncertainty is life. It is not itself a problem. It is not something we should try to overcome. Rather, it’s something we should learn to become familiar with. Why? Uncertainty exists to make us bigger and better people. It’s in times of uncertainty when we find out what we’re made of. It brings out our creativity and grit, forcing us to dig deep to seek the best possible outcome. So, Kyle and I can keep freaking out, or we can choose to enjoy some last times with our friends for a while, get everything ready for the move, and do our absolute best to improve our financial situation. We can figure it out and increase the chances of a good outcome. Moving somewhere new, starting a new job, entering a new relationship, – you can’t possibly know how any of these things are going to work out. The best you can do is ride the wave of uncertainty and take advantage of the fresh start. Use the opportunity to try new things, be your most authentic self, and do things that scare you. Things are either going to work out or they won’t. Either way, don’t you want to say you gave it your all? The podcast episode explains that the brain is wired to consume data. When there’s an information gap, we go into a cognitive panic. We start asking all of these questions we think we need the answer to. How am I going to make friends? How am I going to make money? How are we going to survive this 22-hour drive without killing each other? The reality is that there is no way of knowing what activities will bring me new, quality friends. I know what I need to do to make myself available to new friendships, but I have no idea of whether those things will pay off or not. Does it actually matter? No. Because with each attempt, I’ll grow a little bit more. I’ll learn where I’ll find more like-minded writer, Disney-princess loving people (okay, that might be a long shot), and I’ll learn which groups to join to better my chances. Uncertainty is when we experience personal growth. It doesn’t have to be something we fear, stress, or worry over. I talk a lot on here about finding physical and emotional balance. While I think it’s important to do the best we can, life will never be completely stable. We are going to face uncertainty every day, and some stages of life we’ll experience it at higher levels than others. But we can practice balance to better manage uncertainty. We can prep our bodies to handle unexpected stress, the worry and panic that comes with the unknown. A stable foundation can help us think more clearly when life inevitably shakes us up. How do we do this? 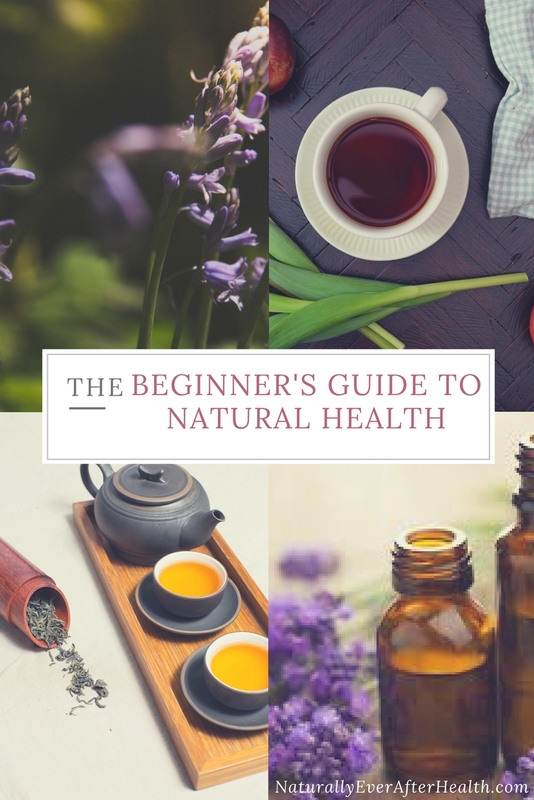 Living a healthy lifestyle that allows us to harmonize our physical, mental, and emotional beings. Drinking water: Staying hydrated arms you with good energy. Learn a new skill: Read an article on something you’ve been wanting to learn, whether it be for your job, hobby, or how to freakin’ connect your wireless printer so you can conquer it once and for all. Read for 10 minutes… or an hour! Whether it’s fiction, personal development, or an inspiring biography, reading every day exercises the mind and fills you with new knowledge. Brainstorm: Write lists of ideas, things you want to do, solutions to your problems. For example, my daily brainstorming is writing at least five blog post topics while I’m eating my morning sweet potato waffle. The bottom line is that uncertainty is unavoidable. Yet, it’s not even something we should seek to avoid. The more we expose ourselves to uncertainty, the more opportunities we give ourselves to grow. Rather than panicking over the unknown, dig deep to embrace the situation. Practice a healthy lifestyle to stabilize your body in the only way you can possibly control to better handle those things you have no control over. Worry does not serve you, so do your best to drop it. Let it go, smile, and see what you’re made of! Easier said than done, but I love this, thanks for the reminder! I hope your move is going well. Enjoy the adventure of it! Thanks for reminding us on how to use uncertainty to your advantage..